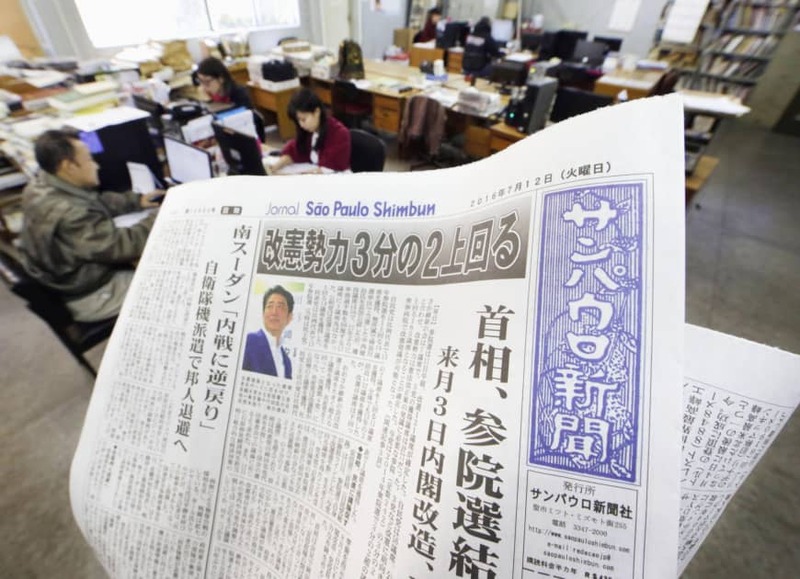 SAO PAULO - The Sao Paulo Shimbun, a Japanese-language newspaper based in the sprawling Brazilian metropolis, will end its 72-year run after printing its Jan. 1 edition, due out Saturday, an official with the publisher said Thursday. Established on Oct. 12, 1946, the newspaper has been an opinion leader in the country, which has the world’s largest society of Nikkei abroad. 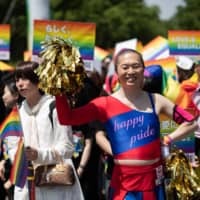 But the paper has experienced a plunge in sales in recent years due to the aging of its readers of Japanese descent and declining use of the language among Nikkei in the South American country. 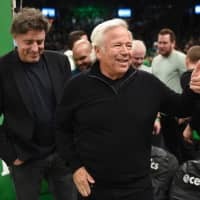 According to the publisher, 90 percent of its readers are first- and second-generation immigrants, with their average age exceeding 80. Its circulation has continued to fall due to the death of its subscribers. 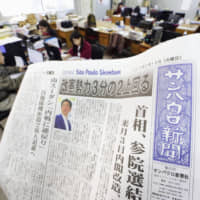 Suzuki wished good luck to the Nikkey Shimbun, a rival Japanese-language paper based in the city. “I’ve always looked forward to reading news about Brazil and Japan,” said Toshie Aoki, an 81-year-old resident of the city who has been a Sao Paulo Shimbun subscriber for 20 years. 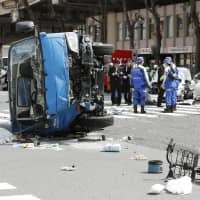 “It’s a great shame, and I’m so sad,” said Aoki, who is from Fukuoka Prefecture. After the end of World War II, a lack of information led to conflict between Japanese immigrants who believed Japan had won the war and those who acknowledged its defeat. The conflict turned bloody, leaving over 20 people dead. The Sao Paulo Shimbun was established by those who strongly recognized a need for the distribution of accurate information in Japanese. The paper won Japan’s prestigious Kikuchi Kan Prize for its contributions to Nikkei society in 1977. For decades after the war, the Sao Paulo Shimbun competed with two Japanese-language newspapers in Brazil. The two merged to create the Nikkey Shimbun in 1998.